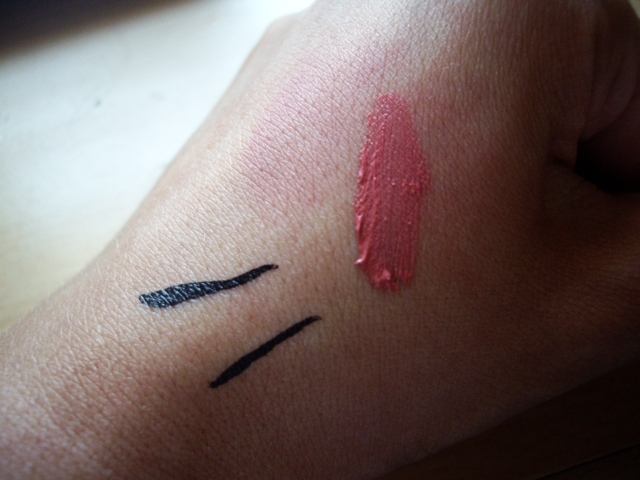 I’ve wanted to try out a couple of new things recently, and today I bought a new eye liner and lip cream. The eye liner I’ve used for years and never wanted to use anything else was Collection 2000’s Fast Stroke Eyeliner in Black. I’ve always loved that eye liner because it’s so precise and has a hard nib at the end so it’s easy to get a good line with it. The only bad thing about it is its tendancy to dry out really quickly, and it becomes less precise and not as smooth. So I had a look around, and thought I’d try out Loreal Paris’s Superliner in Black Vinyl. There were no testers around, so I assumed from the way it looked that it would be a felt tip type eye liner which I really wanted. However, I got home and realised I was wrong. It has a soft tip which makes it harder for me to get a precise line without it squiggling everywhere. I was quite disappointed, but I’m yet to try it out properly and it might change my mind the more I use it. I’ve only had it a couple of hours, but I think I’m already obsessed with Collection 2000’s Cream Puff Moisturising Lip Cream in Fairy Cake. The coverage of colour is thick like a lipstick but applies glossy, then dries with a velvety matt finish. I love wearing lipsticks so it’s perfect for me, and at only £2.99 it’s a bargain. It also has a lovely vanillary smell that’s not too overpowering. The only negative thing I would say about it is to definitely apply a lip balm about 20 minutes before to let it soak in as it can be a little drying on its own. 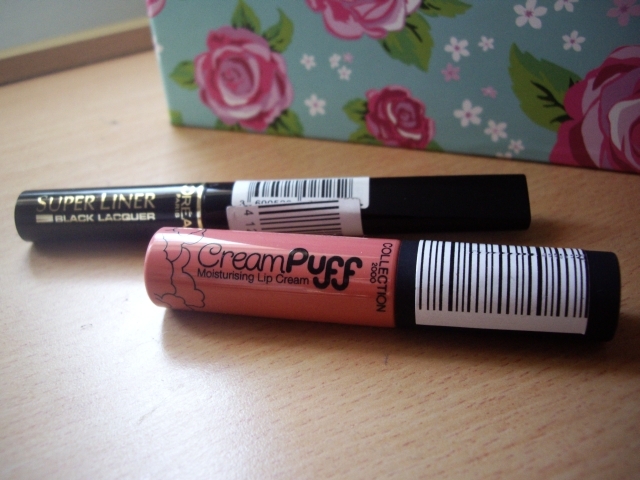 I’ll definitely buy the lip cream in other colours; possibly Cotton Candy and Powder Puff. Previous Post MAC Studio Fix Fluid or Revlon Colorstay?